A Letter from Heaven. Offer comfort for a loved one with this sentimental, personalized wooden plaque. 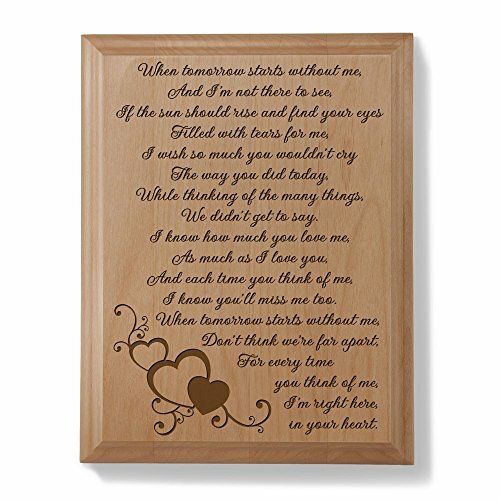 Engraved with a beautiful memorial poem, this gift is a very thoughtful way to offer your sympathy. If you have any questions about this product by Kate Posh, contact us by completing and submitting the form below. If you are looking for a specif part number, please include it with your message.